Ardian Ahmedaja, Mag. art., PhD. Born in Tiranë, Albania. 1983-1987 composition studies at the Academy of Arts in Tiranë. 1987-1991 composer at the State Theatre for Opera and Ballet and lecturer at the Academy of Arts. Since 1991 in Vienna. Studied composition (wih Erich Urbanner) and the theory of music (with Diether de la Motte) at the Hochschule für Musik und darstellende Kunst Vienna. Magister Artium in 1995 on the basis of treatises on Il primo libro di capricci (1624) by Girolamo Frescobaldi and Rendering (1990) by Luciano Berio. Studied European ethnology and musicology at the University of Vienna. PhD in 1999 based on the work Zur Melodik der albanischen Volkslieder. Eine Typologie der gegischen Lieder [On the Melody of Albanian Folk Songs. A Typology of Gegë Songs]). Since 1999 researcher at the Institute for Folk Music Research and Ethnomusicology of the University of Music and Performing Arts Vienna. In 2003 initiated the establishment of the Research Centre for European Multipart Music (https://www.mdw.ac.at/ive/emm). Research areas up to now have been local practices in Albania and neighbouring countries, maqam, music and minorities, religious and secular musical practice, transcription and analysis, multipart music. Fieldwork in several Balkan and Mediterranean countries, in the European Alpine region and in the USA. 2017 (ed.) European Voices III. The Instrumentation and Instrumentalization of Sound. Local Multipart Music Practices in Europe. In commemoration of Gerlinde Haid. CD-ROM with 65 audio and 32 video examples included. Schriften zur Volksmusik. Band 25. Wien: Böhlau. 2013 (ed.). Local and Global Understandings of Creativities: Multipart Music Making and the Construction of Ideas, Contexts and Contents. Newcastle-upon-Tyne: Cambridge Scholars Publishing. 2011 (ed.). European VoicesII. Cultural Listening and Local Discourse in Multipart Singing Traditions in Europe.CD and DVD with audio and video examples included. Schriften zur Volksmusik. Band 23. Vienna: Böhlau. 2008. Ahmedaja, Ardian and Gerlinde Haid (eds.). European Voices I. Multipart Singing in the Balkans and the Mediterranean.CD and DVD with audio and video examples included. Schriften zur Volksmusik. Band 22. Vienna: Böhlau. 2003. Ahmedaja, Ardian and Ursula Reinhard. Dein Herz soll immer singen! Einblicke in die Volksmusiktraditionen Albaniens (Book and CD). Vienna: Institut für Volksmusikforschung und Ethnomusikologie an der Universität für Musik und darstellende Kunst Wien. 1999. Zur Melodik der albanischen Volkslieder. Eine Typologie der gegischen Lieder. I. Text, II. Musical transcriptions. PhD thesis. University of Vienna. 2012. Discovering Albania. Recordings from the collections Traeger Albanien 1903 and Stockmann Albanien 1957 of the Berlin Phonogramm-Archiv, Ethnological Museum - Berlin State Museums. CD. Compiled and commented on by Ardian Ahmedaja. Sound restoration, signal processing and mastering by Albrecht Wiedmann. Tiranë: Ulysses Foundation. 2012. 2011. Ein albanisches Lied in der Sammlung Küppers-Sonnenberg Balkan I, 1935. In Walzenaufnahmen aus Südosteuropa. G. Küppers-Sonnenberg 1935-1939. Historische Klangdokumente 7. Berliner Phonogramm-Archiv. Berlin: Staatliche Museen zu Berlin - Preußischer Kulturbesitz. 39-40. 2010. Gemeinsam mit Rudolf M. Brandl: Saze „Vëllezërit Frashëri“ aus Përmet. Musikalische Abendunterhaltung in Tiranë am 11. 12. 2009. DVD. (Videoaufnahme, Dokumentation, Übersetzung, wissenschaftliche Kontrolle.) RMB VIDEO EDITION. Orbis Musicarum 142. (upcoming) “Multipart music.” In The SAGE Encyclopedia of Ethnomusicology. Sturman, Janet L., (general editor). New York: Golson Media. 2016. “Albania. Musicology.” In Grove Music Online. New York: Oxford University Press. 2014. In The Grove Dictionary of Musical Instruments. Second Edition. Edited by Laurence Libin. New York: Oxford University Press. 2003. „Çiftelia (Çifteli).“ In Enzyklopädie des europäischen Ostens (http://www.uni-klu.ac.at/eeo). 2003. „Kreshnik - Lieder (alb. Këngë kreshnikësh).“ In Enzyklopädie des europäischen Ostens (http://www.uni-klu.ac.at/eeo). 2003. „Makam (alban./ türk. ; arab. Maqam).“ In Enzyklopädie des europäischen Ostens (http://www.uni-klu.ac.at/eeo). 2017. “Introduction”. In European Voices III. The Instrumentation and Instrumentalization of Sound. Local Multipart Music Cultures and Politics in Europe. In commemoration of Gerlinde Haid. CD-ROM with 65 audio and 32 video examples included. Ardian Ahmedaja (ed.). Schriften zur Volksmusik. Band 25. Vienna: Böhlau. 11-19. 2017. “Parallel Worlds In The Arbëresh Song ‘O E Bukura More’ (Oh, My Beautiful Morea)”. In Botët Paralele në Balada dhe Këngë Popullore/ Parallel Worlds in Ballad and Folk Song. Materialet nga konferenca e 45-të e Komisionit Ndërkombëtar të Baladës. 31 gusht – 4 shtator, 2015, Prishtinë. / Proceedings of the 45th International Ballad Conference of Komission für Volksdichtung. Prishtina, Kosovo, August 31 – September 4, 2015. Prishtinë: Instituti Albanologjik i Prishtinës. 273-318. 2016. “Performance practices of ritual songs in Johan Georg von Hahn’s Albanesische Studien (1854)”. In Fifth Symposium of the ICTM Study Group on Music and Dance in Southeastern Europe. Ivanka Vlaeva, Liz Melish, Lozanka Peycheva, Nick Green, Ventsislav Dimov (editors). Blagoevgrad: University Publishing House “Neofit Rilski”. 67-78. 2016. "The Designation of Concepts in Studies on Multipart Music." Res Musica. Nr. 8/2016. Žanna Pärtlas, ed. 28-43. 2013. „The lahutë between everyday practice and symbolism.” Music in Art. International Journal for music Iconography. Vol. XXXVII, no. 1-2. Spring Fall 2013. 144-160. 2013. “Fan S. Noli and musical practice in the Orthodox Church in Albania.” In Unity and Variety in Orthodox Music: Theory and Practice. Proceedings of the Fourth International Conference on Orthodox Church Music. University of Eastern Finland. Joensuu, Finland. 6 – 12 June 2011. Publications of the International Society for Orthodox Church Music. Nr. 4. 345-368. 2013. “Preface.” In Local and Global Understandings of Creativities: Multipart Music Making and the Construction of Ideas, Contexts and Contents. Ardian Ahmedaja (ed.). Newcastle-upon-Tyne: Cambridge Scholars Publishing. IX-XII. 2012. „I concerti di musiche e danze tradizionali nella storia recente dell’Albania.“ Studi e Ricerche V. 155-175. 2012. “Das Nationale Folklorefestival in Gjirokastër (Albanien) und die Frage der Klassifizierung und Präsentation der “besten Werte”.“ In Festivals popularer Musik. Tagungsbericht Köln 2010 der Komission zur Erforschung musikalischer Volkskulturen in der Deutschen Gesellschaft für Volkskunde e.V. Klaus Näumann and Gisela Probst-Effah (eds.). Schriftenreihe der Institute für Musikpädagogik und Europäische Musikethnologie an der Universität zu Köln. Band 2. Köln: Allitera Verlag. 205-219. 2012. “Songs with Lahutë and Their Music.” In Balkan Epic: Song, History, Modernity. Philip Bohlman and Nada Petković (eds.). Europea: Ethnomusicologies and Modernities, No. 11. Maryland: Scarecrow Press. 101-132. 2012. “Muzičke transformacije kao obilježja kulturnog identiteta: klapsko pjevanje u Crnoj Gori. 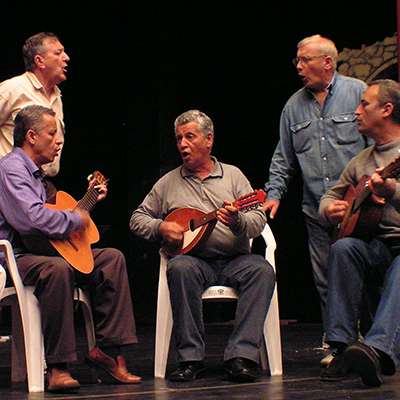 (Musical transformations as a cultural identity feature: Klapa Singing in Montenegro. )” In Tragom crnogorske muzičke baštine. Rаdovi sа naučnog skupa. Podgoricа, 25. mart 2010. 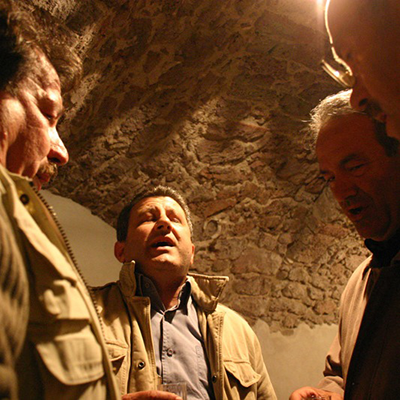 (On the trail of Montenegrin music heritage. Papers read at Scientific Meeting Podgorica, March 25, 2010.) Anka Burić (ed.). Crnogorskа Аkаdemijа Nаukа i Umjetnosti. Nаučni skupovi. Knjigа 111. Odjeljenje umjetnosti. Knjigа 38. [Montenegrin Academy of Sciences and Arts. Scientific Meetings. Volume 111. The Section of Art. Volume 38.] Podgorica. 63 – 68. 2011. “Introduction.” In European VoicesII. Cultural Listening and Local Discourse in Multipart Singing Traditions in Europe.CD and DVD with audio and video examples included. Ardian Ahmedaja (ed.). Schriften zur Volksmusik. Band 23. Vienna: Böhlau. 9-13. 2011. “Approach to a ‘Lexicon on local terminology of multipart singing in Albania and among Albanians in the Balkans.’” In European VoicesII. Cultural Listening and Local Discourse in Multipart Singing Traditions in Europe.CD and DVD with audio and video examples included. Ardian Ahmedaja (ed.). Schriften zur Volksmusik. Band 23. Vienna: Böhlau. 235-261. 2011. „Musikalien als Zeugnisse des Zeitgeistes Zu den ersten zwei albanischen Melodien-Sammlungen.“ In Musikalien des Übergangs. Festschrift für Gerlinde Haid anlässlich ihrer Emeritierung 2011. Mit englischen Zusammenfassungen, Ton- und Videobeispielen. Schriften zur Volksmusik. Band 24. Ursula Hemetek, Evelyn Fink-Mennel, Rudolf Pietsch (eds.). Vienna: Böhlau. 83-98. 2011. „Es soll wie Glocken klingen.Kulturelles Hören und lokaler Diskurs in europäischen mehrstimmigen Vokaltraditionen.“ In Jahrbuch des Österreichischen Volksliedwerks 2011. Band 60. Redigiert von Sofia Weissenegger und Stephanie Hofmannsrichter. Vienna: Mille Tre. 31-40. 2011. “The role of the researchers and artists in public presentation of local music and dance in Albania.” In Proceedings of the Second Symposium by the International Council for Traditional Music (ICTM) Study Group on Music and Dance in Southeastern Europe held in Izmir, Turkey, 7-11 April 2010. Elsie Ivancich Dunin and Mehmet Öcal Özbilgin (Hrsg.). ICTM Study Group on Music and Dance in Southeastern Europe, Ege University State Turkish Music Conservatory. Izmir, Turkey. 3–14. 2010. “Sound Recordings as Source for the Research History. Collection Work in Albania since 1903.” In Historical Sources and Source Criticism. ICTM Study Group on Historical Sources: Proceedings from the 17th International Conference in Stockholm, Sweden May 21-25, 2008. Susanne Ziegler (ed.). Stockholm: Skrifter utgivna av Svenskt visarkiv 29/ Publications issued by Svenskt visarkiv 29. 155 – 165. 2010 (in print). “Characteristics of the today’s practices of the songs with lahutë.” In Proceedings of the international conference “Songs of the Frontier Warriors: a Monument of the Albanian Cultural Heritage”. Prishtinë, 28. – 20. August, 2010. 2009. “Wedding Ceremonies as Places of Musical Globalization Among Albanians Today.” In “Música, ciudades, redes: creación musical e interacción social. Actas del X Congreso de la SIBE. Sociedad de Etnomusicología; V Congreso IASPM-España; II Congreso de músicas populares del mundo hispano y lusófono”. Rubén Gómez Muns and Rubén López Cano (ed.). (Salamanca: SIBE-Obra Social Caja Duero, 2008). ISBN-13: 978-84-612-7141-2. 2009. “Music in the Churches of Arbëreshë in Southern Italy and Sicily.” In Composing and Chanting in the Orthodox Church. Proceedings of the Second International Conference on Orthodox Church Music. University of Joensuu, Finland, 4 ‑ 10 June 2007. Joensuu: Publications of Orthodox Theology, at the University of Joensuu. No. 40. Joensuu. 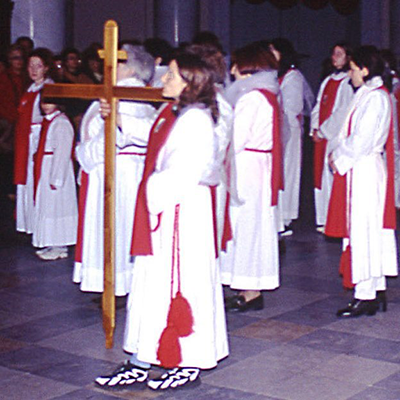 The International Society for Orthodox Church Music & University of Joensuu. 98 – 114. 2008. “Çamçe: Dance and the Power Relationship Between Minorities and Majorities.” In The Human World and Musical Diversity: Proceedings from the Fourth Meeting of the ICTM Study Group “Music and Minorities” in Varna, Bulgaria 2006. Rosemary Statelova, Angela Rodel, Lozanka Peychava, Ivanka Vlaeva, Ventsislav Dimov (ed.). Sofia: Bulgarian Academy of Science. Institute of Art Studies. 298 – 302, 400. 2008. “To the Performance Practice of Multipart Songs with Instrumental Accompaniment in South Albania in Historical Recordings and Contemporary Developments.” In The Balkan Peninsula as a Musical Crossroad (Papers of the international Conference). Struga, Republic of Macedonia, 20 – 23 September, 2007. Velika Stoykova Serafimovska (ed.). 73 – 93. 2008. 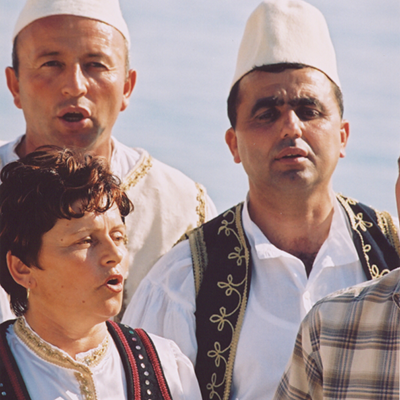 “Changes within Tradition: Parts and their Number in Multipart Songs among Albanians.” In European Voices I. Multipart Singing in the Balkans and the Mediterranean. Ardian Ahmedaja and Gerlinde Haid (eds.). Wien: Böhlau. 2008. 209 – 265. 2008. Ahmedaja, Ardian und Gerlinde Haid. 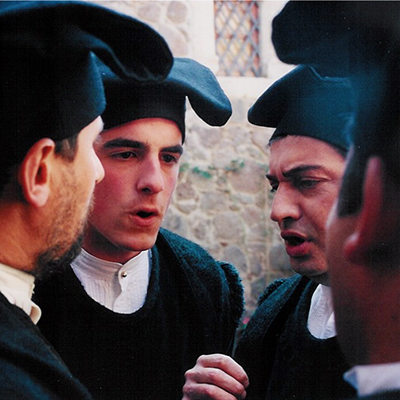 “Introduction.“ In European Voices I. Multipart Singing in the Balkans and the Mediterranean. Ardian Ahmedaja and Gerlinde Haid (eds.). Wien: Böhlau. 2008. 7 - 14. 2005. “Vergleichende Untersuchungen zu mehrstimmigen Liedern mit Ensemblebegleitung in Südalbanien und im Nordwesten Griechenlands.“ In Musikethnologie und Volksmusikforschung in Österreich: Das ‚Fremde' und das ‚Eigene'? Gerd Gruppe (ed.). Aachen: Shaker Verlag. 5 - 20. 2005. “On the Diversity of Multipart Singing Among the Albanians. The Relationship Between the Parts in the Songs of Toskëri and Myzeqe.” In The Second International Symposium on Traditional Polyphony. Rusudan Tsurtsumia and Joseph Jordania (eds.). Tbilisi: Tbilisi State Conservatoire. 137 - 157. 2004. „Historische und gegenwärtige Einflüsse auf die Musik in Albanien.“ In Vereintes Europa - Vereinte Musik? Vielfalt und soziale Dimension in Mittel- und Südosteuropa. United Europe - United Music? Diversity and Social Dimensions in Central and Southeastern Europe. 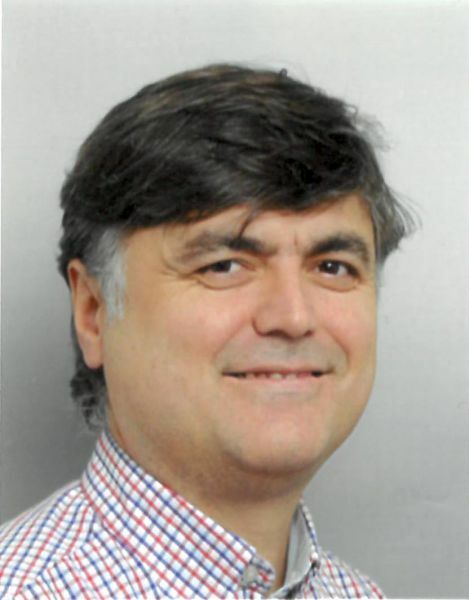 Bruno B. Reuer (ed.) München: Verlag Süddeutsches Kulturwerk. 111-128. 2004. “On the question of Methods for Studying Ethnic Minorities' Music in the Case of Greece's Arvanites and Alvanoi.” In Manifold Identities: Studies on Music and Minorities. 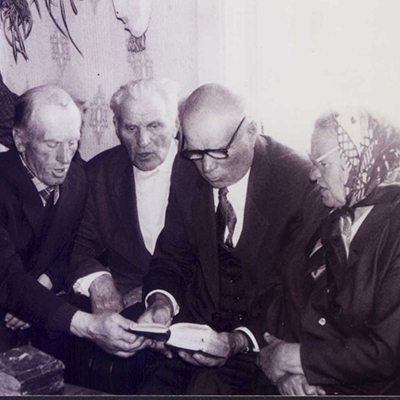 Urusla Hemetek, Gerda Lechleitner, Inna Naroditskaya, Anna Czekanovska (eds.). London: Cambridge Scholar Press. 54 - 62. 2003. „Die Sololieder der Frauen im Norden des albanischen Siedlungsgebietes.“ Studia musicologica XLIV, 1-2. 211 - 219. 2003. “Këngët popullore shqiptare dhe i kënduari bizantin.” In 2000 vjet art dhe kulturë kishtare në Shqipëri. Aktet e simpoziumit ndërkombëtar Tiranë, 16 - 18 nëntor 2000. Tiranë: Kisha Orthodokse Autoqefale e Shqipërisë. 403 - 408. 2001. “Music and Identity of the Arbëreshë in Southern Italy.” In Music and Minorities. Proceedings of the 1st international meeting of the ICTM Study Group Music and Minorities, Ljubljana, Slovenia, June 25-30, 2000. Svanibor Pettan, Adelaida Reyes, Maša Komavec (eds.). Ljubljana: Založba. 265 - 276.